When in doubt, look it up! For every book-lover, this command is common — the answer to the questions: What does that word mean? How is it spelled? Who wrote this-or-that book? How does this-or-that work? Where can I find this-or-that? And so many more. 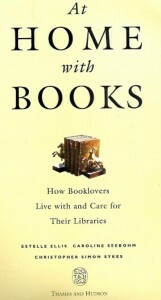 For the book collector, seasoned or just starting out, it’s important to remember books are often our best consultants. Even when building a book collection. We’ve put together a useful list of some of the most seminal titles in book collecting. Use these as your reference section and refer to them as often as you like! This tome, a neat 232 pages, by John Carter and Nicholas Baxter, is widely considered the number one Bible for book collectors. The eighth edition, completely revised and re-set, with additional information and an Introduction by Nicolas Barker. John Carter’s ABC For Book Collectors has long been established as the most enjoyable as well as the most informative reference book on the subject. Here, in over 490 alphabetical entries, ranging in length from a single line to several pages, may be found definition and analysis of the technical terms used in book collecting and bibliography, interspersed with salutary comments on such subjects as auctions, condition, facsimiles and fakes, ‘points’, rarity, etc. 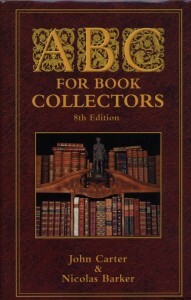 This edition has been revised by Nicolas Barker, editor of The Book Collector and incorporates additional words created by the introduction of web-based collecting. The ABC For Book Collectors retains its humorous character as the one indispensable guide to book collecting while also keeping us up-to-date with modern terminology. 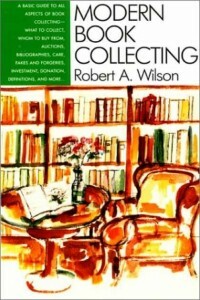 This book, written by Robert A. Wilson — proprietor of the famous Phoenix Bookshop in New York City, and passionate writer and book collector who specializes in rare books and manuscripts — and Nicholas A. Basbanes — author of the bestselling book, A Gentle Madness: Bibliophiles, Bibliomanes, and the Eternal Passion for Books, which we also wholeheartedly recommend. Modern Book Collecting offers advice that answers all the basic questions a book lover and collector might have—what to collect and where to find it, how to tell a first edition from a reprint, how to build an author collection, how to get the best price from dealers, how to understand the prices and rarity of books, and more. With a handy dictionary of terms used in auction and dealer catalogs and a new section on Internet resources, this is a must-have guide for book lovers. 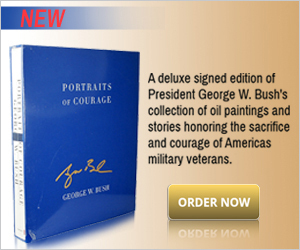 Includes black-and-white illustrations throughout and an 8-page color insert. This useful volume, edited by Edward N. Zempel includes information he obtained directly from the publisher. Publishing houses are listed alphabetically, with methods of identifying first editions for each publisher organized by year. 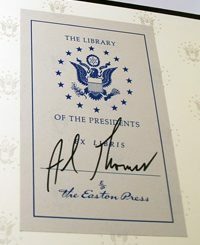 A must have for any collector on the quest for first editions! Buy it here. You can also try a more portable handbook, written by Bill McBride. This book, by Estelle Ellis, is a visual delight, a helpful resource, and an inspiration for every bibliophile with a growing home library. Includes professional advice on editing and categorizing your library; caring for your books; preserving, restoring, and storing rare books; finding out-of-print books; and choosing furniture, lighting, and shelving. 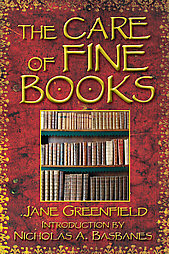 Jane Greenfield, advisor in rare book conservation at Yale University Library, is a leading authority on preservation and repair. After attending the New York School of Applied Design, she operated her own bindery for several years, enabling her to write from an unusual level of both education and experience. Here she offers a concise yet thorough discussion of book construction, storage, handling, cleaning, and repair, as well as essential expert advice on how to properly store and handle books of value in order to protect them from fire, flood, theft, and common wear and tear. With a new introduction by bestselling author Nicholas A. Basbanes, this is an indispensable volume for bibliophiles of every description. Have questions these books don’t seem to answer? Just let us know with your comments what you’re looking for!